Ron Skinner and Sons believe in giving back to our loyal customers. That's why we regularly run amazing competitions, allowing our followers to win great prizes online. 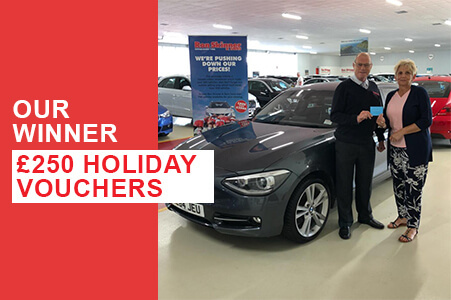 Our March competition winner collected £250 worth of Tui holiday vouchers with us and Smile Car Finance. She is planning a holiday to Greece with her prize. 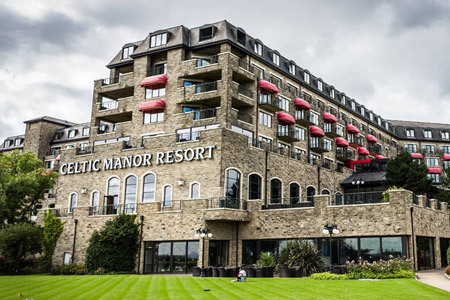 You could win our next competition just by heading to our Facebook page. It's a new month, which means another competition has to be started. 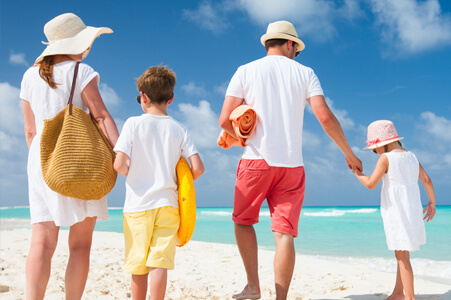 For March, Ron Skinner and Sons, are giving away £250 worth of TUI holiday vouchers! February was all about the Six Nations tournament as Wales looked get themselves another Grand Slam. 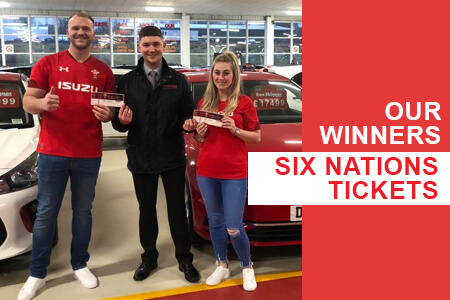 Our lucky winners Chantelle and Dane, won 2 tickets to watch Wales take on Ireland at the Principality Stadium in the Six Nations final game. 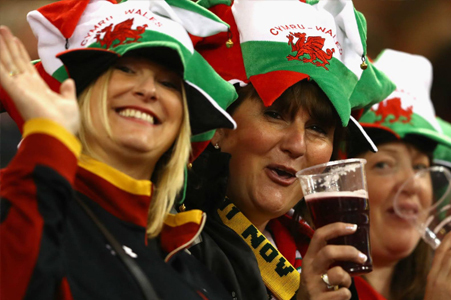 For some February means love, for us Rugby fans it’s all about the six nations! 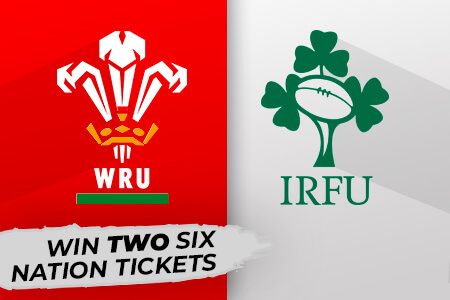 Terms and Conditions: Tickets are for the Six Nations match between Wales v.s. Ireland on Saturday 16th March. You must be able to find your own travel and you must be able to collect your tickets from Ron Skinner and Sons. Throughout January we gave away £250 worth of supermarkets to our customers. Rob won the prize and chose to spend the money at ASDA. 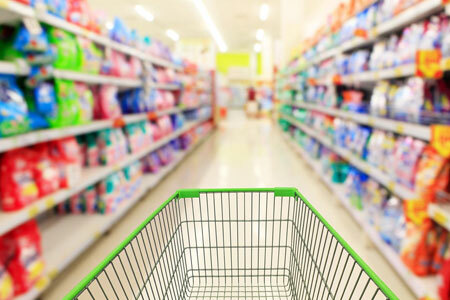 Start January with a win and enter our latest competition, were you can win £250 worth of supermarket vouchers to a supermarket of your choice. YES! You heard correct, the lucky winner will be able to choose which supermarket they would like to spend the vouchers at. Just in time for Christmas, Lee was drawn at random to win £250 worth of John Lewis & Partners vouchers! Christmas is just around the corner now and we want to give you the best present early. 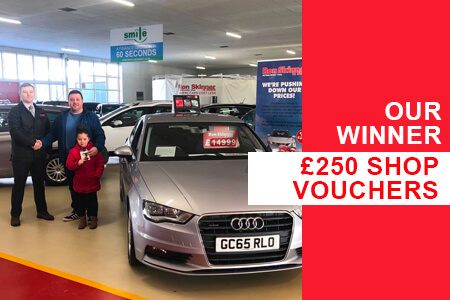 Have your chance to win £250 worth of John Lewis vouchers with Ron Skinner and Sons on Facebook! 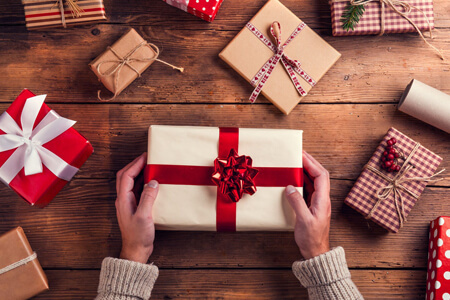 In November we wanted to give away something perfect for Christmas and we wanted to give away £250 worth of John Lewis vouchers to spend on what ever they like. 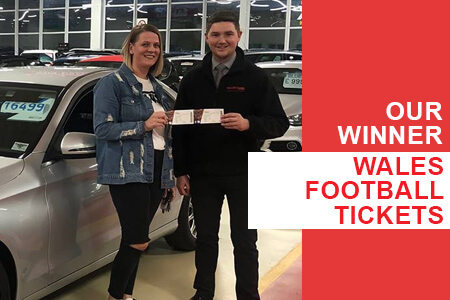 Louise is a family of three from the local area and couldn’t be happier she won the prize. Each month we're giving away bigger and better prizes. We want to make sure our customers have even more from us after they have purchased a car from Ron Skinner and Sons. 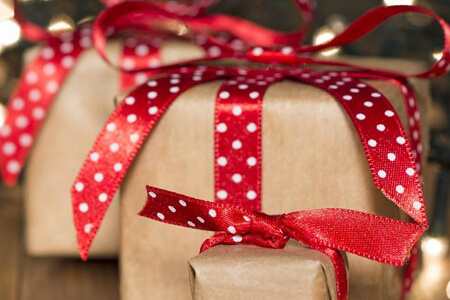 Each month, we want to give even bigger and better prizes to our customers. Help you make even more memories with your families from the gift from the Ron Skinner and Sons family. Easy? Enter NOW for your chance to WIN! 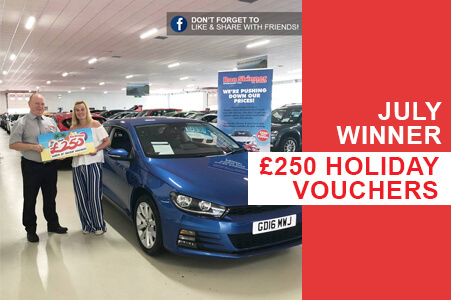 This month, Katie has become our latest winner of the £250 Holiday Voucher Giveaway! She couldn't be happier with winning and can't wait to spend the vouchers on her cruise next year. 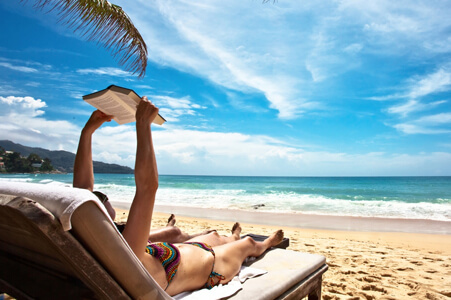 We choose one lucky winner last month to win our monthly £250 holiday voucher give away. But as summer is still going, we want to give away even MORE vouchers! 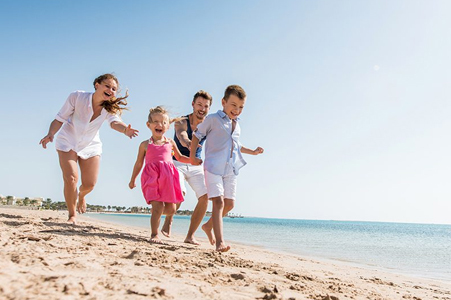 Don't miss out latest Facebook competition and have your chance of winning £250 worth of Holiday vouchers. It's super easy to enter! Just, Like & Share this post: http://bit.ly/BeASkinnersWinner & Like Our Facebook Page to enter! That's It! Good luck everyone. The competition will end of on August 30th. Terms and Conditions Apply! 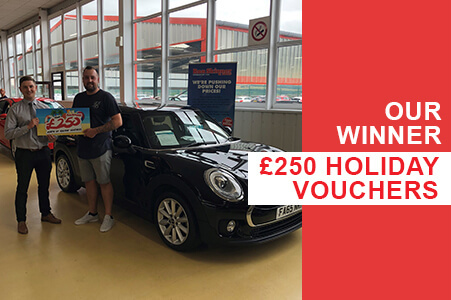 This month, Todd has become our latest winner of the £250 Holiday Voucher Giveaway! He couldn't believe that we had won the vouchers, as he never wins anything he said. Todd is looking to visit the Dominica Republic never here with his partner. It's a new month, which means another competition has to be started. 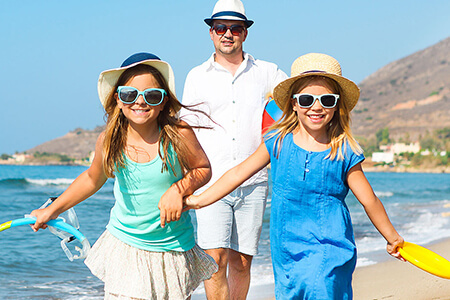 For July, Ron Skinner and Sons, are giving away £250 worth of TUI holiday vouchers! Good luck, the competition ends on July 30th and T&C's apply! Each month we want to give away bigger and better prizes to our customers. 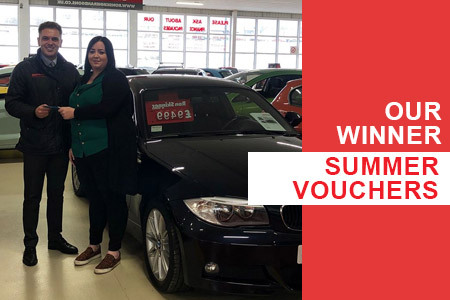 Samantha entered our June £250 Holiday Voucher giveaway and was our lucky winner. 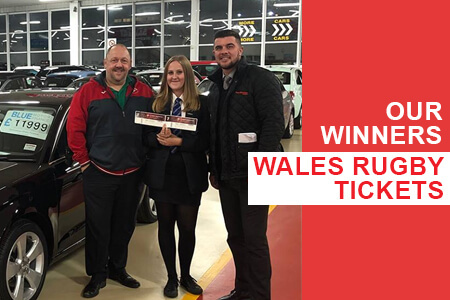 Samantha has always recommend purchases a car from Ron Skinner and Sons and couldn't believe when she found out, she had won the vouchers. We love giving you more! 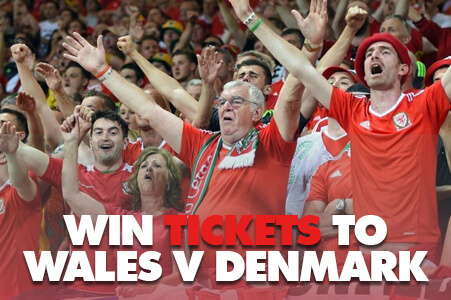 So, we're running another competition just for you on our Facebook page! 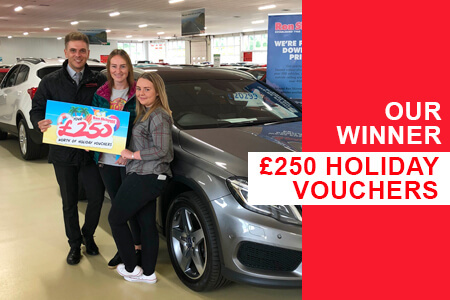 If you head on over to our Facebook page, you have the chance to win £250 worth of Holiday vouchers and its SUPER EASY to enter! Just SHARE this post: http://bit.ly/2Jzoizz & like our Facebook page! Good luck, competition ends on June 30th and T&C's apply! 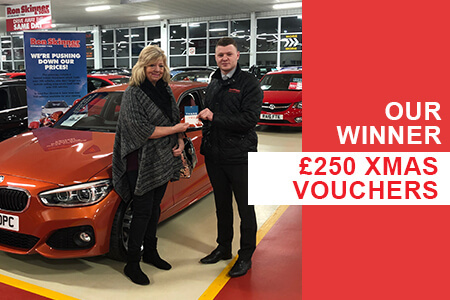 Our lucky winner Debra came to the Ron Skinner and Sons showroom in Tredegar and collected her, £250 worth of holiday vouchers! 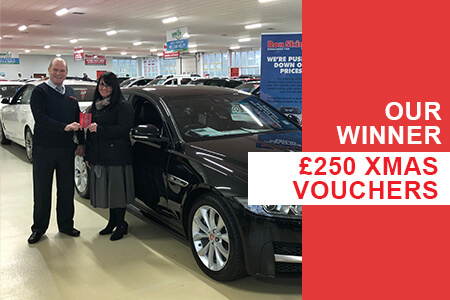 Debra has been a long-term customer of Ron Skinner and Sons, but couldn't believe it when she was chosen as the winner for the £250 vouchers! Just like our Facebook page and keep up-to-date with our latest competitions: https://www.facebook.com/ronskinnerandsons & like our Facebook page! 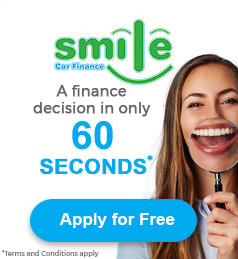 Even after you've bought a car from Ron Skinner and Sons, we want to offer you even more. 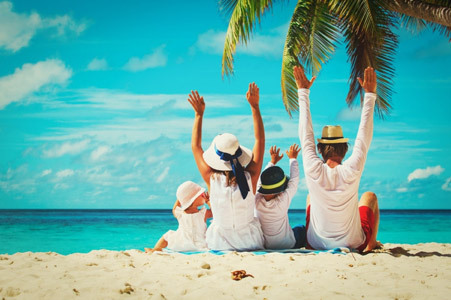 If you head on over to our Facebook page, you have the chance to win £150 worth of Holiday vouchers and its SUPER EASY to enter! Just SHARE this post: http://bit.ly/2vt3BQi & like our Facebook page! Good luck, competition ends on May 31st and T&C's apply!